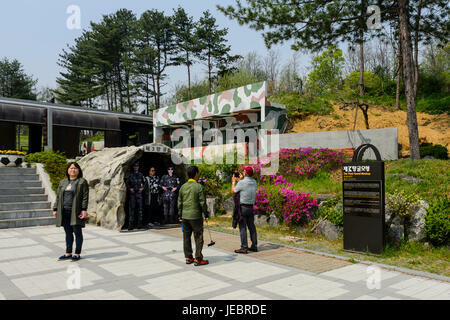 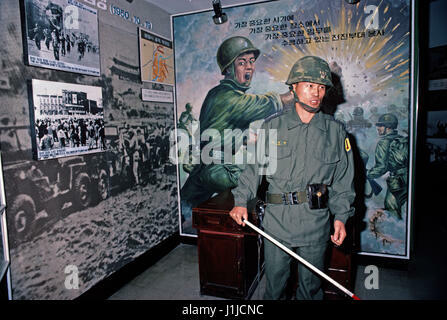 Museum at Punmanjom, Korean Demilitarized Zone, DMZ Line, depicting the historical and polital conflict on the Korean Peninsula. 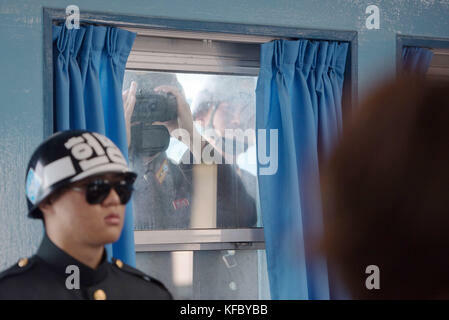 North Korean soldiers look through a window at U.S. Secretary of Defense Jim Mattis and South Korean Defense Minister Song Young-moo during a surprise visit to the Demilitarized Zone between North and South Korea October 27, 2017 in Panmunjom, South Korea. 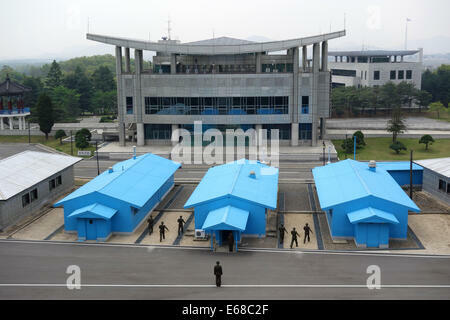 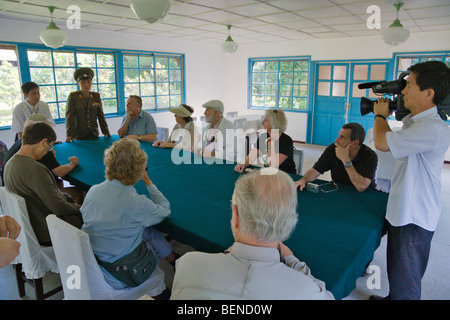 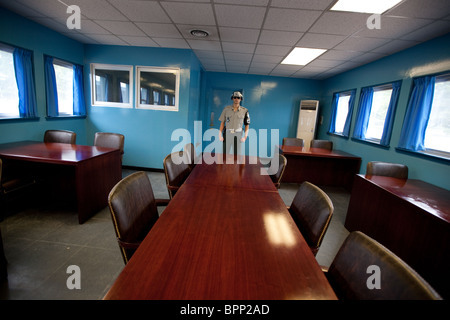 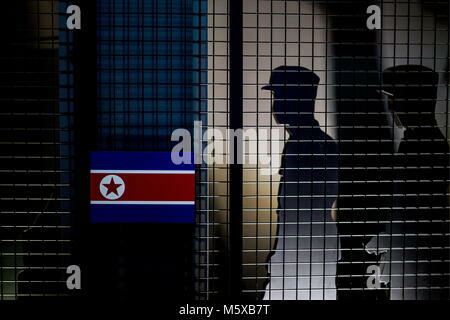 Panmunjom in the Demilitarized zone (DMZ) between South and North Korea. 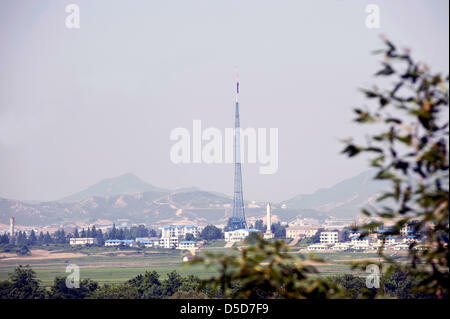 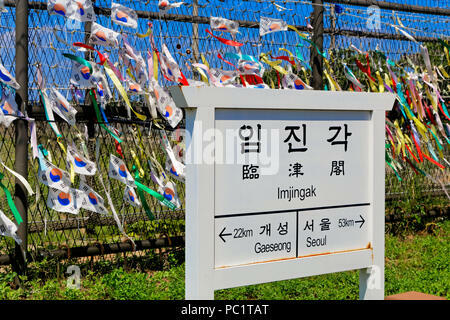 A flagpole, estimated to be around 160 meters in height, stands on the North Korean side of the demilitarized zone (DMZ) some 50 km north of Seoul, South Korea on 24 June 2010..Photographer: Rob Gilhooly .